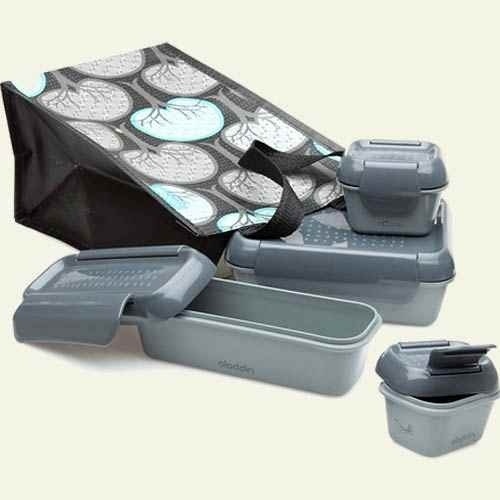 Another review for you, I was sent an Aladdin eCycle bento set to review from ReUseIt and its a great set! This set ticks a lot of boxes, pardon the pun, it is made from recycled products, it is extremely versatile and it even looks quite snazzy! at $24.95 (£16) it is a more expensive option but it also has reason to be. You get four boxes and a bag to carry them all in. While expensive compared to some other lunch boxes it may also prove to be better when compared. The reason I give this set a 5/5 is because of it’s versatility. With a main box being around 550ml, a medium box being around 250ml and two smaller boxes being around 125ml you get 1050ml and a bag to carry it all in! With their being three different sizes it makes packing a breeze! Now you won’t have to try and squeeze your cherry tomatoes in with your salad, they can have their own box. And why not carry some nuts or seeds in the small boxes as a snack? A greatly presented set in a very gender neutral way. Being charcoal means it would look great being used by men or women, and even children who want a more sophisticated look. • Four boxes and a bag for one set price. • Easy to keep foods separate. • Can be hard to open due to locks and seal. • May be cost prohibitive. You can find this great item and many more by clicking the button below! 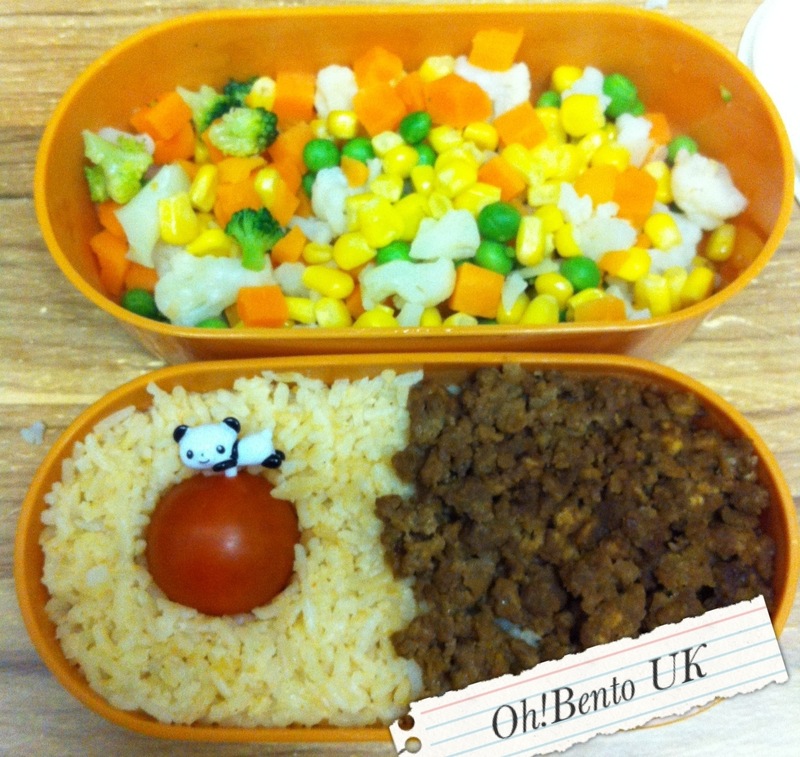 Rilakkuma bento box review and simple vegetarian bento! 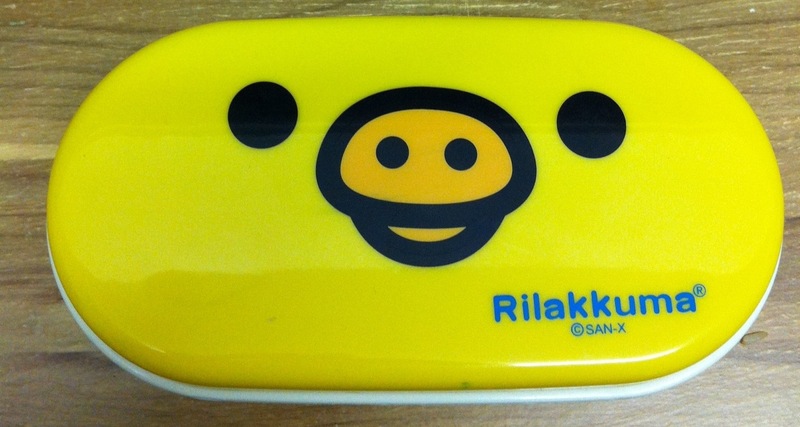 I was sent a great little product from Keep It Secret to review, a Rilakkuma bento box! This box is roughly 600ml which is a great size for a box regardless of age or gender. The bottom layer is around 200ml and the top layer is 400ml. This would allow children to have a very filling meal and maybe a snack, or an adult to have a bento without feeling hungry after it has been eaten. 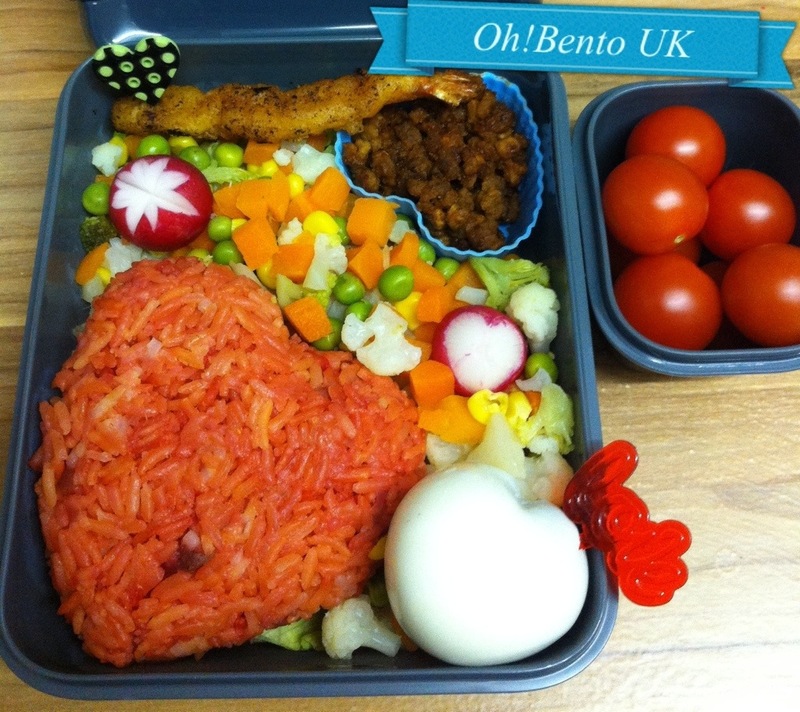 This shape and style of bento is extremely popular for a reason, because it works. There is no crafty corners to try and fill and with a little know how a varied and delicious meal can be packed quickly and efficiently. The reason I have given this box half marks is because you will either love it or hate it. Chances are this box will only appeal to children or adults with a slight childish streak. It’s hard to imagine a 40 year old business man in a suit pulling this box out in front of his colleagues. • Cheap and easy to pack. • Colourful and eye catching. • Will only appeal to a certain market. It contains rice with a bit of salad cream mix in ( it sounds horrible but try it and you’ll love it! ), meatless mince, a cherry tomato and mixed vegetables. 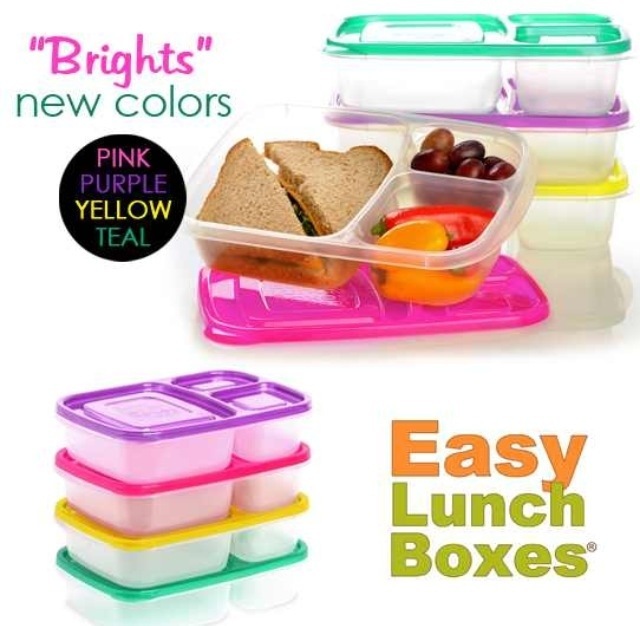 EasyLunchBoxes now in BRIGHT colours! So some of you will have heard I am now a group of bento enthusiasts and friends. This group is full of some extremely amazing ladies ( I’m the only male which makes me feel super special haha). One of these ladies is the wonderful Kelly Lester, the creator of the EasyLunchBox container. This lunchbox is certainly one of the best lunchboxes on the market, and this is not just my opinion but many, many people’s. 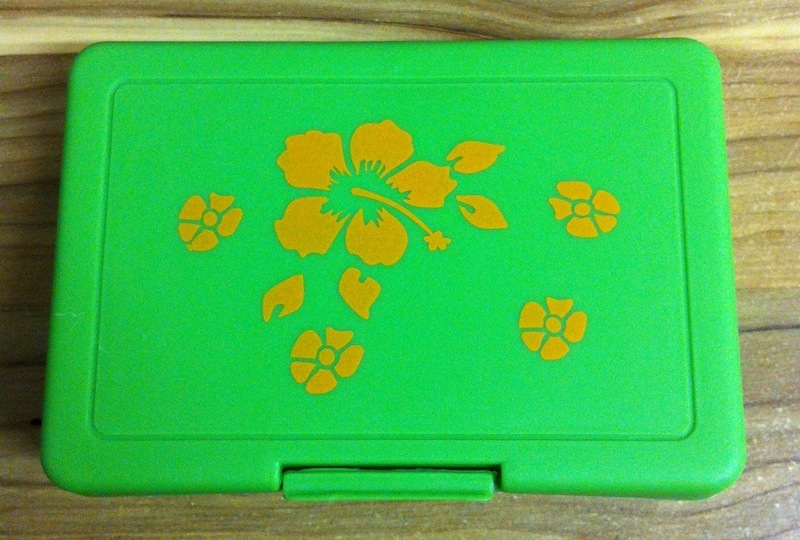 The EasyLunchBoxes have gone through a colourful transformation. While retaining the well loved shape and style of the well known box the lids are now available in super bright colours sure to delight children and maybe even some adults too! For more information and to buy some for your child, family or yourself click this link. Yesterday I found this little box at The Range for £1! It’s not as sturdy feeling as other boxes but for £1 I wasn’t expecting the best box ever. I’m not sure of the exact size but I’d say its between 300ml and 400ml. A great box for beginners! I think after the months of use I should write a review. so here goes! I bought this rice cooker from Makro for just under half price. Even if I had paid full price for this particular appliance I would be more than happy knowing every penny was worth it. This appliance is the perfect size! With a ten cup ( 2.2L ) capacity it will cook enough for the whole family while taking up minimal space on the counter. This rice cooker comes with ample instructions but even for those people that refuse to read instructions this machine is self explanatory. It has a very simple menu with large buttons. With the ability to set a timer for cooking time and the ability to set the machine to start cooking just before you arrive home so that when you do arrive, your meal is freshly prepared. This rice cooker also comes with a steamer basket making it possible to cook rice, vegetables and even a boiled ( technically steamed ) egg all in one go. 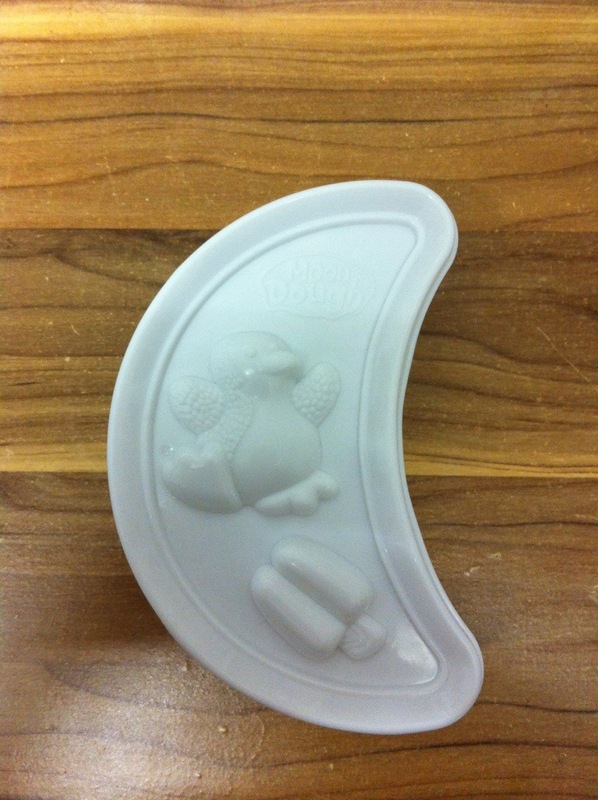 Can be used to cook rice, pulses and grains, porridge, steamed foods, slow cooking, soups and cakes among other items. 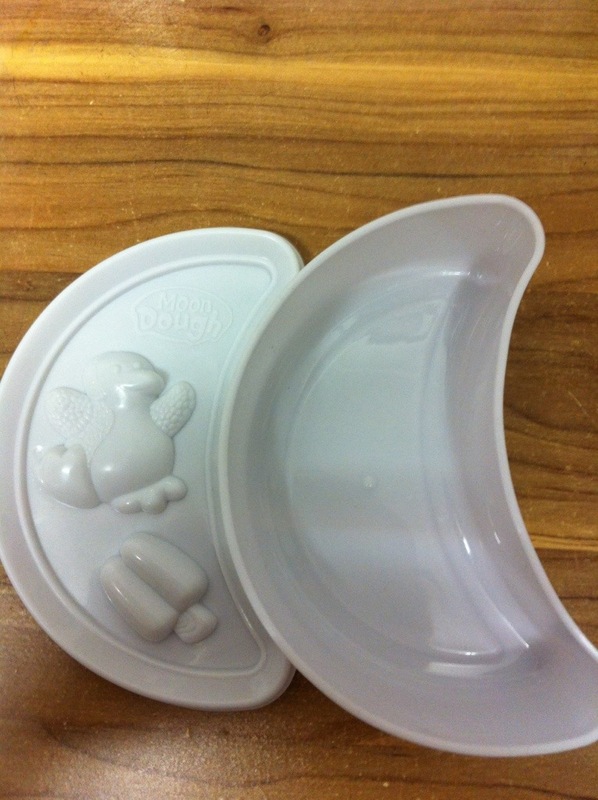 Comes with large non-stick removable bowl for easy cleaning. 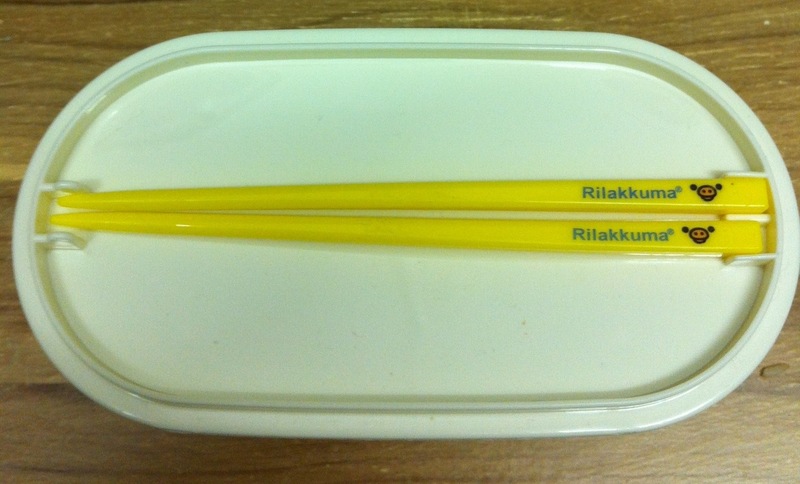 Comes with rice paddle and a small but perfectly formed cookbook. The ability to have your meal freshly cooked for when you arrive home. Looks sleek and with the stainless steel shell it is easy to clean. 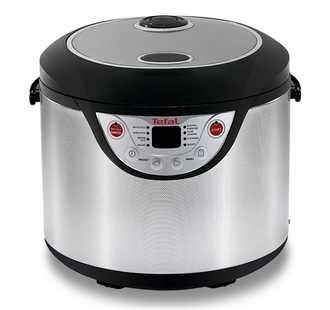 Automatic stop cooking/ keep warm feature means no more cold rice. It’s Moon Dough! Now I’m not bothered about the actual Moon Dough but rather the box. I really liked the shape of the box and for 99p from Home Bargains I thought I’d take the jump and buy it. This box will make a great and cheap alternative to expensive bento boxes. It has a snap on lid that feels quite secure. Obviously this box isn’t meant for food so it may be wise to use bun cases etc so that your food doesn’t touch the box itself. Also I very much doubt this box would survive in a dishwasher so hand washing would be best. Either way a very cool, 300ml bento box for less than a pound, I’m not going to complain! 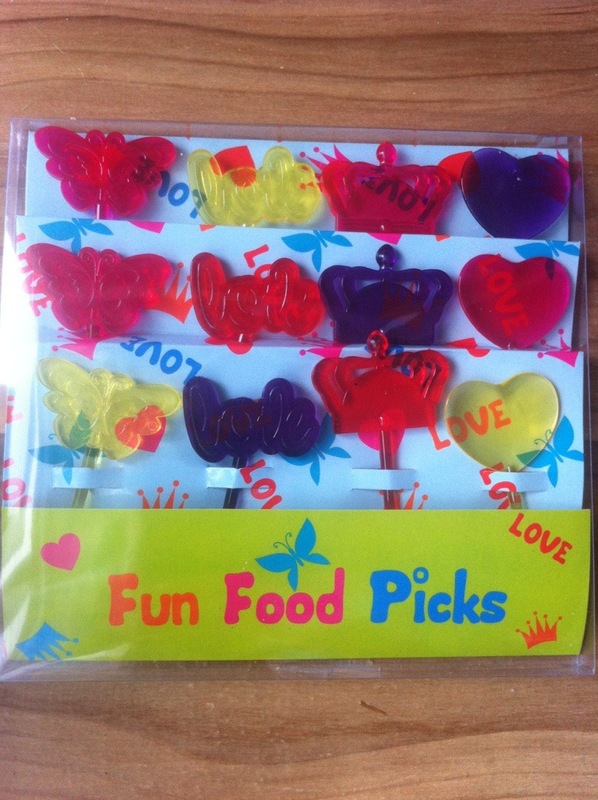 While out shopping I found these cute picks, you get 12 bright coloured, sturdy picks for 49p! 3 x hearts, 3 x crowns, 3 x “love” and 3 x butterflies. This bargain was found at, an aptly named, Home Bargains.